Haryana Government Department of Elementary Education, Panchkula has published last chance for thumb impression verification of newly selected JBT teachers who remained absent earlier. 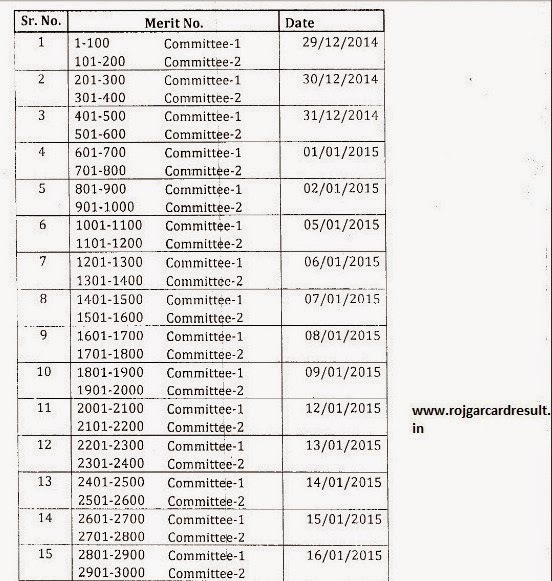 The dates are 09 to 10 April 2015, earlier Mewat Cadre recommendation list of JBT Posts Primary Teachers (PRT) for category no.2 advt. 02/2012. Earlier notice of Document Verification Schedule for 9870 Posts of Primary Teachers (PRT)/ JBT Teachers under category no. 1, 2 advertisement no. 02/2012 (Non Mewat Cadre). Attendants can view schedule at official webportal……….…. http://www.harprathmik.gov.in/................ The verification process starts from 29 December 2014 to 16 January 2015. Further information of HSTSB PRT JBT Teachers 2016 regarding venue, timings etc is mentioned here………….. The applicants have to carry 03 photos, ID Proof, address proof, original and attested copies of certificates. There is prescribed form for photo verification. After doing this process then all satisfied applicants can get appointment letters to join their teachers posts.